The recent attempt to auction old rhino horn artefacts in Hong Kong failed because of Western World NGO interference. In effect, they ‘shamed’ the Chinese people into abandoning the auction with typical Western bullying tactics – a despicable terrorist activity under any situation. They have also shamed the Chinese people into abandoning their ancient trade in elephant ivory. The Chinese people should not be cowed by such bulldozing tactics from these self-serving NGOs in the West. Instead, the Chinese people should start to understand just how they are being duped by these nefarious ‘confidence tricksters’. Here is a statement of fact from a Western NGO – the TGA – which supports the idea of a legal trade in rhino horn and elephant ivory with China. Wildlife in Africa will only survive in the long term if it has a true value for Africa’s rural people. Once the rural people of Africa ‘own’ their own wild animals, and they are able to make a legitimate living from the sale of their products (such as rhino horn and ivory), will they (the rural people of Africa) start to look after (and NOT ‘poach’) these animals. This will happen because it makes no sense for anybody to steal something that already belongs to them. If the people already own the rhinos and the elephants in Africa, and they are making a good and sustainable living from the management of these animals, why WOULD they want to poach them? And Africa needs the help of the Chinese people to make this happen. Those Western-based animal rightist NGOs who oppose the Chinese trade in rhino horn and elephant ivory, are making a very good criminal living from the controversies that they perpetuate. Let’s use the African elephant as an example. In southern Africa, there are ‘too many elephants’. All the southern African national parks are stocked with elephant populations that grossly exceed the elephant carrying capacities of their habitats – by as much as ten and twenty times! This is causing the total destruction of the game reserve habitats – and ALL WILD SPECIES in these game reserves (of both plants AND animals) – are, therefore, under a long-term threat of ultimate extinction. And, this being the case – the fact that there are too many elephants in southern Africa – confirms that the elephant is certainly not anywhere near being ‘endangered’ – or facing extinction. 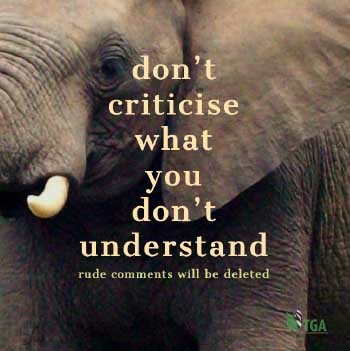 Nevertheless – the Western animal rights NGOs – in their propaganda campaigns – tell their societies that the elephant is ‘facing extinction’ (which is a contrived lie). They then solicit donations from ‘the people’ to help STOP the elephant from “becoming extinct”. (How can anybody help an animal from becoming extinct when it is not anywhere near BEING extinct?). Such niceties, however, don’t bother these NGOs. Their purpose is not to tell the truth. Their purpose is also not to help the elephant. Their purpose is to make money out of ignorant and gullible people in the big Western cities. And these NGOs – altogether – make hundreds of millions of US dollars from these scams every year. And their recent escapades in Hong Kong – to stop the sale of rhino horn artefacts – is all part of their pernicious scheme. When someone tells a lie and then makes money of that lie – that activity is called “common fraud”. When that fraud is carried out a second time (or ‘more than once’) it legally becomes a ‘racket’; and racketeering is one of 35 other such crimes that – according to the American Racketeering Influenced and Corruption Act (The RICO Act) – have been constituted (by American law) as being part of “organised international crime”. These are the kinds of people who are stopping China from pursuing their traditional ivory carving and rhino horn traditions. These are the people who are stopping the establishment of a legal rhino horn and elephant ivory trade between Africa and China. Africa is a legal producer of ivory and rhino horn; and China represents a potential legal market for both these products. It makes sense, therefore, for Africa and China to open up mutually beneficial and legal trade in both these wildlife commodities. The Chinese people are being treated like ignorant peasants by these Western NGOs. The Chinese, therefore, must take the trouble to understand just WHAT these NGOs really are, and HOW they operate. And they should take offence at the fact they are being treated by these NGOs like imbecilic fools. 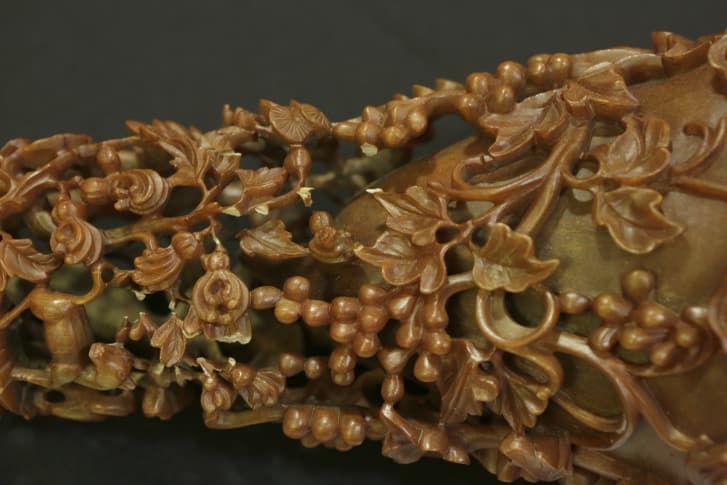 Detail of a carved rhino horn, which was, until recently, a widely used material in Asian arts and crafts. ← Who is Right About the Prawns: You or Witness?